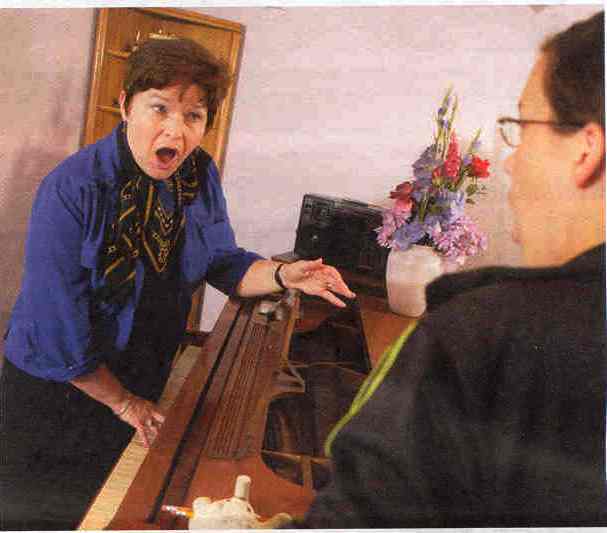 Nancy has over 40 years of experience in teaching voice, both sung and spoken. She currently accepts students from age 9 up. Her eldest students have been in their 80's. It's never too late or too early to learn the basics of good vocal production! No matter what age they are, all of her students go through several classes on the basics of vocal pedagogy, i.e. how the body works to produce sound. They watch videos of the diaphragm and vocal folds functioning, which gives them a better understanding of what is occuring inside their bodies. Without that knowledge, singers are only guessing about about creating correct vocal technique. Nancy teaches both online, via Skype or FaceTime, or at her private studio in Chandler, AZ, a suburb of Phoenix.